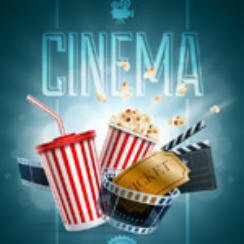 Cinema Releases February 9 2018 - Are you heading to the Cinema? Home » Cinema Releases February 9 2018 – Which of these movies will you watch this weekend? Films out this Friday include the drama Fifty Shades Freed that stars Dakota Johnson and Jamie Dornan, this one releases in both the UK & US. In fact there are a couple of other dramas out this week, The 15:17 To Paris and The Mercy both of which land in UK cinemas this week. Here are the cinema releases February 9 2018 along with movie trailers. In short this is a pretty awful week of releases in the UK and means I won’t be heading to the cinema over the weekend. I mean come on Fifty Shades Freed? Who’s watching these movies?? ?